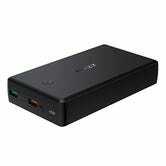 USB-C Power Delivery battery packs are finally starting to become more common, and thus, more affordable. 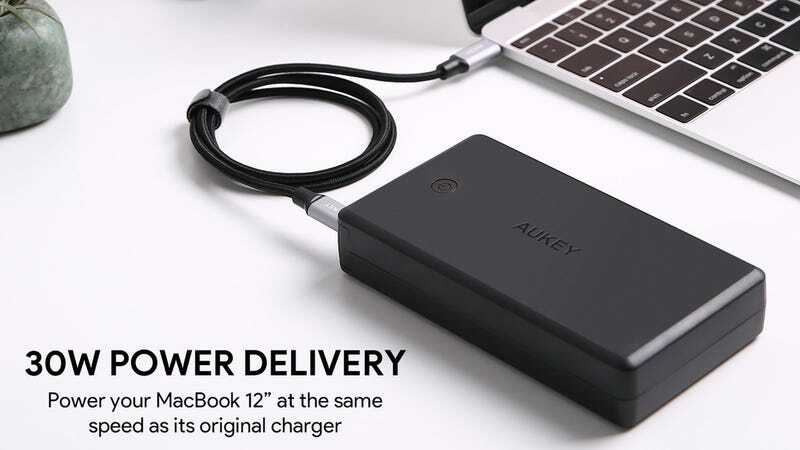 This one from Aukey packs in 26,500mAh of capacity, and can output up to 30W through its USB-C port, enough to charge a 12" MacBook or Nintendo Switch at full speed. That should be enough juice to keep you powered up through even the longest flight. Oh yeah, there’s also a Quick Charge 3.0 port on there, because why not? Tri-Ply Cookware Without a Second Mortgage? This Cuisinart Saucepan is Just $18 Today.